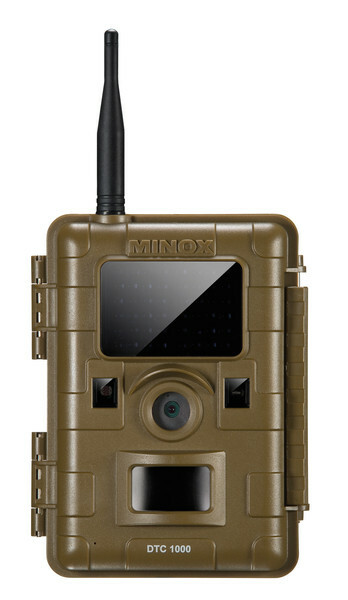 MINOX has expanded the capabilities of the current DTC 600 Trail Camera. With the new and innovative MINOX DTC 1000, you can monitor your property from anywhere in the world - that is, if you have your cell phone with you and have access to your emails. With its built-in wireless module, the MINOX DTC 1000 is capable of simultaneously sending the recorded photos directly to your cell phone or PC. Thanks to its innovative GSM function, the DTC 1000 is also the perfect surveillance camera for outdoor areas such as your home, yard and garden, cabins, corporate buildings, boats and ships. Your advantage: You can save valuable time to raise alarm or possibly get help. Now integrated into the DTC 1000 is audio recording while in video mode.